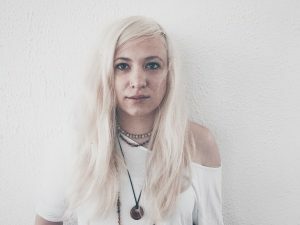 AGU is a singer-songwriter who likes to experiment with post-rock and ambient sounds to accompany her guitar and vocals. She was born in Poland but studied and began writing music in Prague. 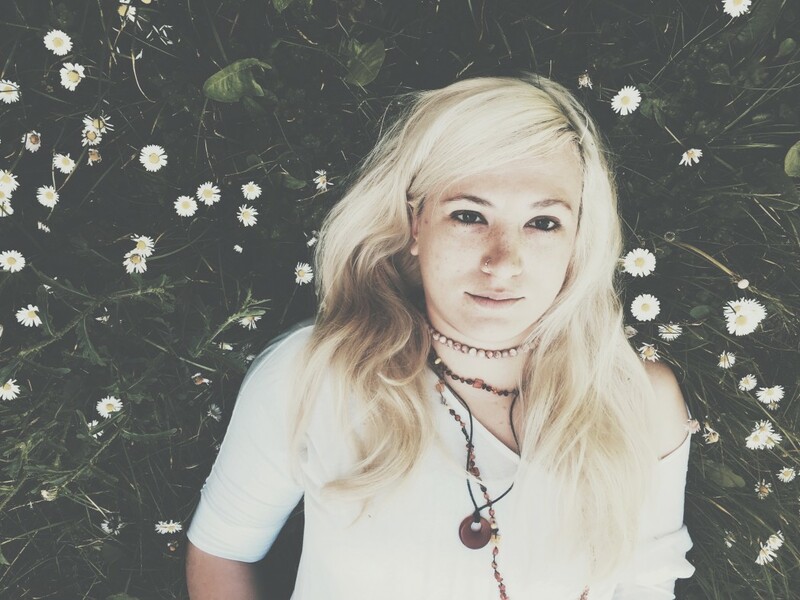 She has been described as “one of the most remarkable new singer-songwriters in Czech Republic” by Magazin UNI. 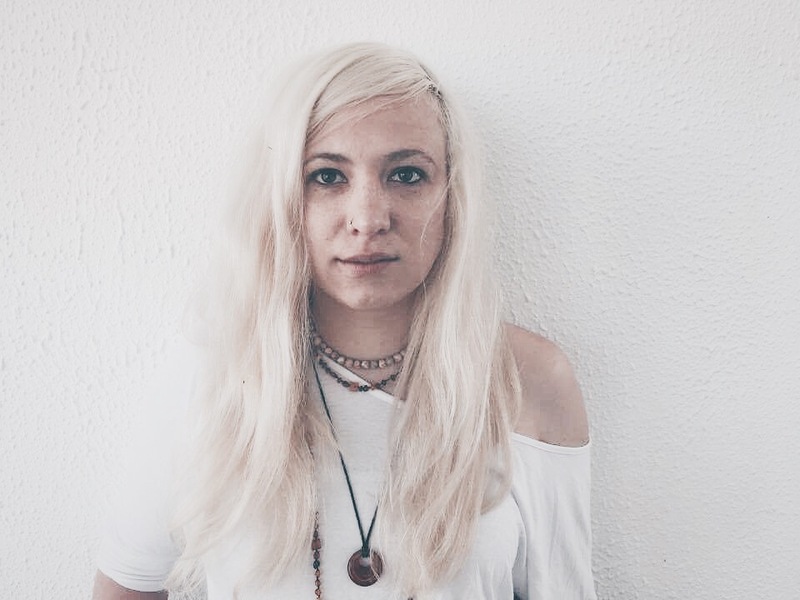 AGU moved to Galway last summer to work on creating her next album. Who are you? Tell us a bit about yourself? My name is Agu. I was given the name Agnieszka at birth, but because I’ve moved a lot and lived outside of my motherland most of my life, people have called me different names. Agu stuck with me the most so I started using it as my artistic name too. I was born and raised in Poland on the coast of the Baltic sea. After graduating from high school, I packed my bag and went searching for adventures. I ended up applying for a place at the university in Prague, Czech Republic and that is where I settled down and spent the rest of my adult life. That is also where I started to think seriously about a career in music, where I released my first solo album, where most of my fans are and where I found love. Czech is like my second mother tongue so when people ask me where I am from I usually say I am Czech/Polish as I feel strongly connected to both countries. I like to experiment. Always looking for new means of expression. I don’t try to sound like anyone in particular. With music I mediate, let my feelings speak out loud and my inner worlds take shape and come to life. I attempt to transcend the borders of countries, cultures and genres. I embrace a variety of languages and musical influences. Using guitar loops, effects and playful, dreamlike vocals and harmonies, my music oscillates between the sounds of indie-folk and atmospheric ambient, shoe-gaze, and post rock. It includes compositions in Polish, Czech and English. Some say it has a cinematic quality to it. I really believe that the slightest flap of a butterfly wing could change a lot. I feel that every person I’ve met in my life left a lasting footstep on my path and I as a person have been shaped by that journey and those encounters. So no matter whether this impact has been positive or negative, I am eternally grateful for every experience, even the tiniest one. As for musical influences, there are just too many! I love minimalism, neo-classical music, jazz, ambient, post-rock. But some of my absolute favourite artists are Ólafur Arnalds, Sigur Rós, Pink Floyd, Jan Garbarek, Leszek Możdżer, Biosphere, Eva Cassidy, Dead Can Dance and many many more. How has your experience been being a musician in Galway? What’s the best part? What do you think could be changed/improved? We moved here with my partner last summer and we both fell in love with the city straight away. I was surprised how quickly I started feeling like home. I don’t know if it is the ocean which reminds me of the places from my childhood so much or the people who are so friendly and welcoming, or the amazing nature around here or the vibrant culture you feel at every footstep, or a little bit of all of that. When it comes to music, I love how busking culture is alive in here and how buskers add a lot of charm to the place. To be honest, that is one of the main reason we are here, not in Dublin, like we could. My partner got a research grant in Ireland and he could choose which university will become his alma mater, but it is because of me and my music aspirations that together we decided to move to Galway. I’ve heard so much about it from fellow musicians in Europe that I didn’t even have to think twice about the choice. One thing saddens me a little though – it is how little interest there is here in original music compared to how many fantastic artists live here. I do miss some of those nice quiet cafes in Prague that feature original bands and songwriters and that people go to mainly to listen to music. Where music is not just a background noise for a usual chatter at the bar but can be a real form of artistic expression and a way to connect to people. Take the atmosphere of Woodstock 1969, add a symphonic orchestra and a choir and bring in Ólafur Arnalds as a producer. That is the ultimate dream. Getting past some of my biggest fears. Recording that first solo album which I am very proud of. What’s your favourite thing to do in the West of Ireland? Listening to the Ocean. It sings the most beautiful melodies I’ve heard. What are your plans for future, both near and distant? The next few months will be very busy. I am playing a gig at the Róisín Dubh on the 24th of May together with my newly assembled band. I will be joined by Vincent Hughes on guitar and Brazilian electronic music producer Polar Archives. Then in summer, I am going on a small tour in Europe. I simply want to say I’m new to blogging and site-building and really savored your blog. Likely I’m likely to bookmark your blog . You definitely have superb articles. Thanks a lot for sharing your web site. You actually make it appear really easy together with your presentation but I in finding this matter to be actually one thing that I believe I’d by no means understand. It sort of feels too complicated and extremely extensive for me. I’m taking a look ahead on your subsequent submit, I will attempt to get the grasp of it! Hi there, I found your web site by way of Google while searching for a related subject, your website got here up, it looks good. I have bookmarked it in my google bookmarks.